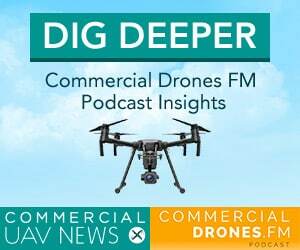 The drone industry report for Q1 2018, brought to you by Commercial Drones FM. Get briefed on the most important and newsworthy happenings from the previous quarter in the drone industry—all in less than 20-minutes. Covered topics include drone hardware, drone software, regulations, drone delivery, funding, mergers and acquisitions, and more. 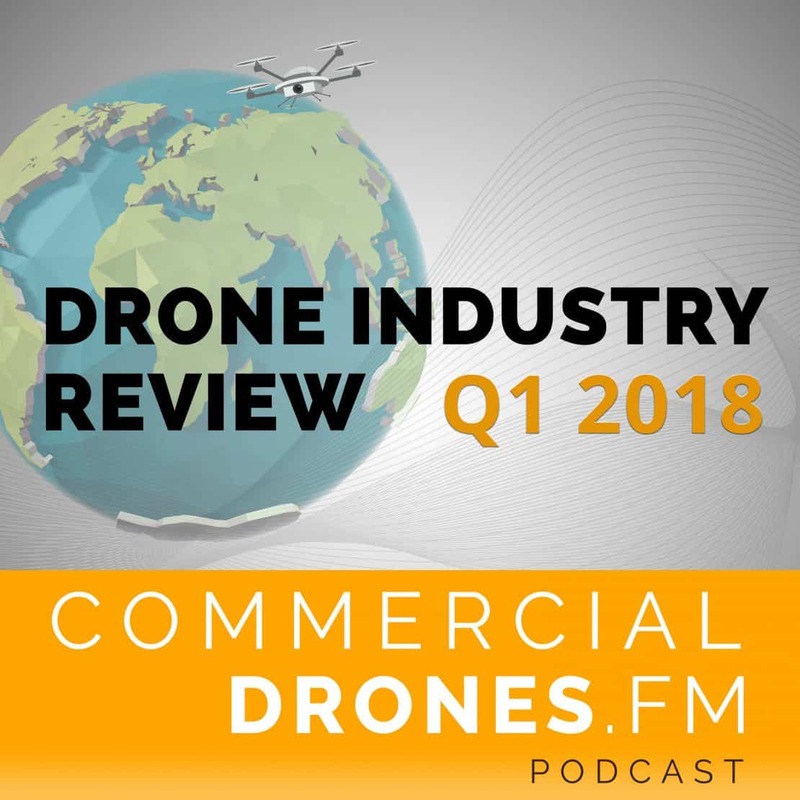 Get the full Q1 2018 drone industry review episode transcript below. Holding the coveted first hardware spot, as usual, is DJI. DJI Mavic Air release – $799 – falls between the company’s $399 Spark and $999 Mavic Pro. CNET described it as an upgraded version of the Spark. It can fly farther, faster and longer – up to 21 minutes, according to DJI. Its 1/2.3-inch sensor shoots 4K video, while its speed can reach up to 42.5 mph. Yuneec unveiled three new drones at CES. The Typhoon H Plus, an upgrade of its most popular model, along with the fixed wing Firebird FPV drone and the HD Racer, a palm-sized racing drone. DJI launches the XT2 dual sensor thermal/4K RGB camera (with the sensor being provided by FLIR), compatible with DJI enterprise drones – a very interesting sensor, compatible with the world’s most popular drones. Building on top of the FLIR sensor, DJI has designed, developed and manufactured a gimbal, water resistant encasing, onboard and mobile software and more to make this their very own. Dedrone releases their newest cUAS sensor, RF-300, which automatically locates drones and their pilots. Be vewy vewy quiet. The Latvian drone company, Aerones, is using its massive, tethered drones to clean wind turbines. They also got into Y-Combinator. 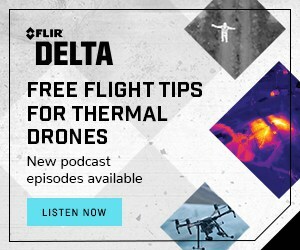 DJI launched their new Payload SDK, a way for sensor OEMs to integrate directly into DJI enterprise platforms – check out episode #68 of the podcast to listen to a roundtable discussion between myself, DJI, FLIR, and SLANTRANGE, who talk all about it and what it means for the drone industry. It’s worth a listen even just for the fact that it’s the first episode with 4 people on it at once. 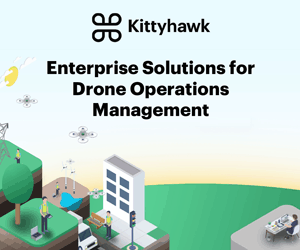 Kittyhawk Launched Automated Drone Flights for their enterprise operations platform, enabling operators to plan missions in the Kittyhawk mobile app and then execute the entire flight from takeoff to landing. They’ve got plenty of competition. They opened up their LAANC system to developers, allowing companies to integrate LAANC request capability into their own products. Airmap launched this with DroneDeploy and other partners. The company announced that they partnered with skyguide, a Swiss air navigation service provider, to develop and deploy a national drone traffic management system for Switzerland. And finally, amidst all of this, AirMap has a new CEO, David Hose – Ben Marcus will take on a new, full time role as AirMap’s Chairman. You’ll recall that Airmap isn’t the only drone company who’ve changed founding CEOs – they join Airware, Kespry, PrecisionHawk, and Aeryon Labs. And also announced Live Map—photogrammetry on your phone—enabling DroneDeploy users to get real-time maps on their mobile device. The US DOT announced 1M drone registrations, breaking down into 878K hobbyists & 122K commercial drones. The number of commercial drones in U.S. airspace is expected to quadruple by 2022. The FAA estimates that 450,000 UAVs will be airborne in 2022, up from 110,000 currently. In addition, the FAA expects hobbyist drones to more than double in popularity: The fleet is expected to grow to 2.4 million units in 2022, up from 1.1 million units last year. A U.S. citizen was detained at an airport in Bangladesh after failing to declare his drone. Customs Intelligence Chief Moinul Khan said the man violated an import-control law by bringing the drone into the country without proper clearance. Reports did not say how long he would be detained. Kenya has lifted a blanket ban on commercial and recreational drones. Users will now have to operate their drones within new rules set by the Civil Aviation Authority. And Farewell Deputy Administrator of the FAA, Michael Huerta, who has stepped down. There is currently no replacement for Huerta in visual line of sight. And how about that LAANC Program. Beginning in April, LAANC will expand to nearly 300 ATC facilities across approximately 500 airports in the U.S.
And What’s the skinny with the DIPP? 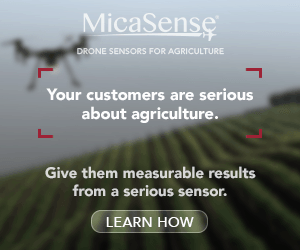 The Drone Integration Pilot Program – or UAS IPP? Chao has previously indicated that they will take up to ten applicants. The MOUs have to be signed by May and because of US contracting rules, the list is a secret. DJI created no-fly zones around Olympic venues in South Korea for the Winter Olympics. A report by Sally French at Market Watch revealed that only one drone pilot has ever been busted for flying without a license—he got a warning. From our pal, Christopher Korody of Drone Business Center – The U.S. Department of Transportation released Budget Highlights for FY 2019. On page 12 under the heading Drones we find: The budget for FAA includes $73 million to develop standards for the safe operation of Unmanned Aircraft Systems (UAS), commonly referred to as drones. This budget outline is a strong indicator for clients and all UAS stakeholders that decision-makers across the administration and on Capitol Hill are committed to advancing UAS integration. We’ll kick off my favorite section with a forecast that worldwide spending on drones is expected to reach $9 billion this year. The IDC Worldwide Semiannual Robotics and Drones Spending Guide forecasted that drone investments could grow at a faster rate than the market. The projected compound annual growth rate for the industry is 29.8 percent over five years. According to the IDC, the utilities and construction industries will spend the most on drones in 2018. The fastest growth is expected to occur in the education and state or local government industries. Funding and Investments – about $216MM this quarter. Reuters reports that DJI is looking to raise $500MM before a rumored IPO in 2019. That would value the company at $15B–almost double its valuation just three years ago. And the startup Edgybees, which has specializes in augmented reality for drones, raised $5.5 million to expand its operations. PrecisionHawk acquires Droners and AirVid to create a their own network of licensed drone pilots. The navigation and mapping company, HERE, and Unifly are joining forces to map the airspace for drones. Rupprecht Law brings us news of a class action lawsuit against FAA – Made up of 835,000 folks who paid their $5 for registration to the FAA. The lawsuit is seeking $5 back for the class, plus Privacy Act violation statutory damages of $1,000 EACH for the members of the class. In sum, we’re looking at almost $841MM PLUS attorney’s fees. Yikes. Drone Industry Insights released their 2018 Drone Market Environment map, complete with 1,000 drone industry logos… and I’m getting a headache just thinking about it. And rounding out the section, DJI hires previous podcast guest, Ben Popper, of The Verge fame. Best of luck in your new venture, Ben. Tons of Delivery drone news this quarter – literally, the most ever. U.S. Deputy Attorney General Rod Rosenstein says drones dropping contraband to prisons is becoming an increasing threat. Drones can be used for bad, too. The first is a system that would allow delivery drones to land on trucks for power. The second is a patent for cushioning packages with inflatable air bags. According to the patent, the drone could inflate the package using a gas canister or the downdraft from the aircraft’s propellers. The third is a patent that allows humans to direct the landing of drone-delivered packages. The drone would be able to recognize human gestures, including arm waving, and whether the person is inviting the drone to drop the package or to land somewhere else. And good news for Amazon and other drone delivery companies – according to a study published this week, using small drones instead of trucks to deliver goods could curb energy consumption and greenhouse gases. China has officially approved drone-based package delivery. I wonder how this makes Trump feel? Speaking of blood – drones could one day deliver blood samples in Palo Alto, California via drone company, Matternet. A California couple is accused of using a drone to deliver drugs to customers in a church parking lot. After the drugs were delivered, the customers would allegedly drive by the couple’s home and toss payments onto their lawn. Riverside police arrested Benjamin Baldassarre, 39, and Ashley Carroll, 31, who face felony drug charges and felony child endangerment. A 9-year-old girl was found living inside their home, which police say had a large stash of illegal narcotics… there are way more efficient ways to do this. I’m not impressed. A bit of drone delivery backlash—the Teamsters trucking union wants UPS to use drivers instead of drones to deliver packages, the Wall Street Journal reported. – The union wants the package-delivery company to not replace its drivers with quadcopters, or self-driving trucks. Proposed legislation in Arizona would allow autonomous, rolling delivery drones on sidewalks. The delivery drones don’t fly overhead and instead operate on the sidewalk, with the capability to deliver smaller-sized packages and goods between short distances to customers. Airbus successfully demonstrated drone package deliveries using its Skyways drone. The demonstration took place on the campus of the National University of Singapore. Walmart has applied for patents involving drone technology in farming. In one patent, the retailer describes using drone “pollinators” that would collect pollen from plants and deposit it in other plants. And rounding out the section – drones delivered more than 700 free pizzas to people in L.A., San Francisco and New York—part of a promotion for the season premiere of “Silicon Valley” on HBO. No doubt, this was in a super-controlled environment. And Kitty Hawk (the Larry Page, of Google, owned company) announced Cora, an all-electric, fully-autonomous, 2-seater, electric VTOL aircraft with an up to 60 mile range. It’ll be operating out of New Zealand initially due to some agreements that the company has made with the country. The aircraft, Cora, is simply, beautiful. Intel dominates this category so we’ll kick it off with them. During CES, Intel put on a light show at the Bellagio fountain in Vegas, featuring 250 Shooting Star drones. And they announced the Intel Shooting Star Mini, which is designed for indoor light shows. Using these new drones, Intel set another new Guinness World Record™ for the most drones flown simultaneously indoors by a single pilot. Cool. As part of a two-day promotion in India, KFC packaged its new Smoky Grilled Wings in a box that comes with detachable drone parts. An online user manual shows how to assemble and work the Bluetooth-connected drone, dubbed KFO, for Kentucky Flying Object. People can connect and fly the drone through a special KFO app. Drones carried Dolce & Gabbana handbags down the runway during the Milan Fashion Week show on Sunday. I feel like we’re coming full circle on the gimmicky drone uses of years’ past. Sales of safety and security drones are expected to nearly double through 2019, according to a study by Ohio-based Freedonia Group. A research ship equipped with eight submarine drones is on its way to search for the remains of missing flight MH370. The city of Louisville, Kentucky has proposed a drone pilot program that would send camera-equipped drones to gunshot sites. The drones would record and send back live footage of scenes where gunfire was recently detected, improving tactical awareness for police officers. Louisville law enforcement is able to detect the gunshot noise with a sensor technology called ShotSpotter. The drones could potentially capture suspects or vehicles fleeing crime scenes, locate evidence and victims and provide medical attention. The Texas Department of Public Safety has purchased 17 drones in recent months, at a cost of $70,000. The Department of the Interior Announced their 2017 Drone Mission Report – With a fleet of 312 unmanned aircraft, the Department of the Interior’s (DOI) Office of Aviation Services flew nearly 5,000 missions in 2017 to support everything from fighting wildfires to monitoring dams and spillways and mapping wildlife. The accomplishments of its UAS program can be found in a report that summarizes flights made by their more than 200 certified pilots in 32 states nationwide. A thermal-imaging drone located a car crash victim who was found unconscious in a ditch in England, potentially saving their life. A company called Windhorse Aerospace is developing edible drones that could deliver supplies to disaster areas and conflict zones. Yum. A drone that caught fire upon landing started a 300-acre wildfire in Arizona, according to the United States Forest Service. On March 6th, the personal drone landed on a dry patch of grass and ignited in the Coconino National Forest in Northern Arizona. About 30 firefighters contained the blaze later that day. A drone owner, who was not identified, was charged in the incident. The person could face jail time, a fine, or community service. Only you can prevent forest fires, folks. And the last little piece of news that I’ll leave you fine drone industry denizens with…. The 2018 Advisory Board has been Set for the Commercial UAV Expo, which is taking place October 1st-3rd in Las Vegas this year. The UAV Expo Advisory Board will advise the conference and event team in helping create the definitive commercial drone event, filling it with great speakers,classes, and content. And I’m happy to report that me, yours truly, is a proud Advisory Board member to the show.